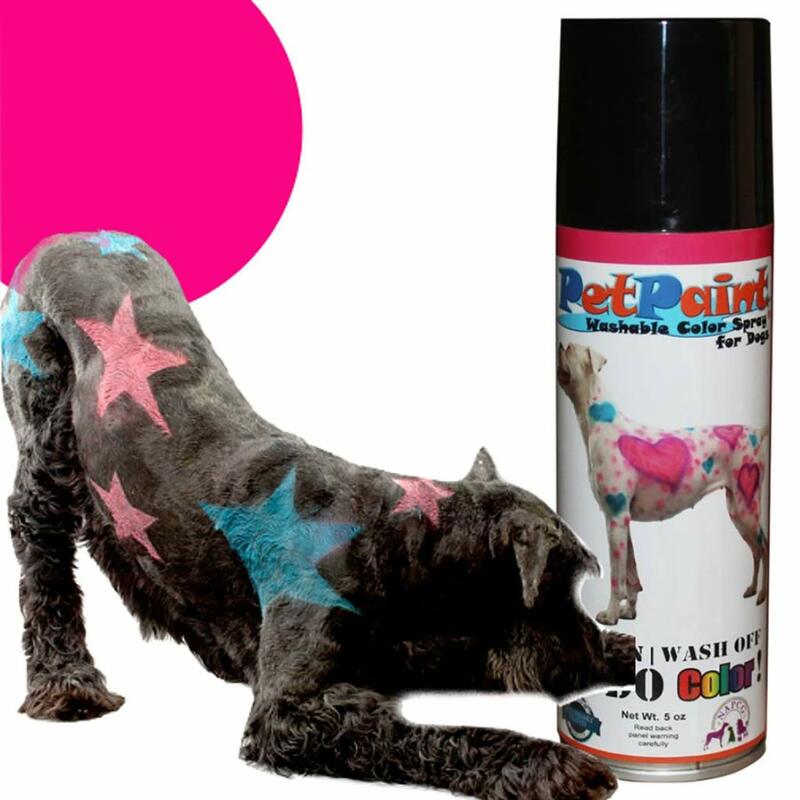 PetPaint temporary color is easy to spray on and easily washes out. Have fun and get creative! Color mohawks, ears, tails, stencil designs or support your team. After coloring apply Setting Spray to lock in colors and decrease color transfer.